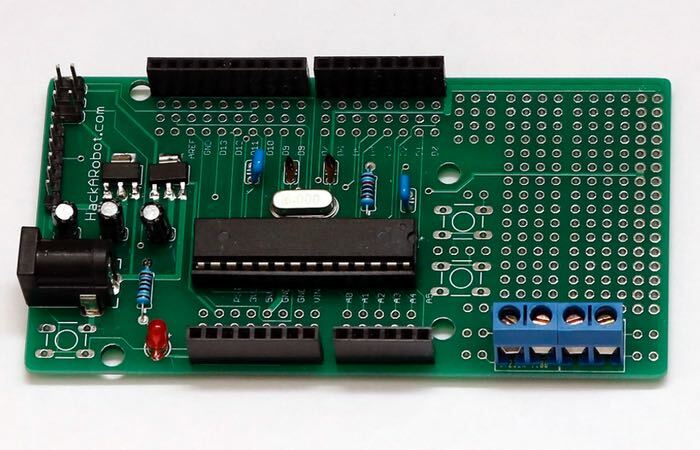 Makers and developers that are looking for an easy way to build their very own customised Arduino development board may be interested in a new kit in the form of the Perfuino Uno. Developed by Funnyvale the new Perfuino Uno kit is available to pledge for from $16 and offers a development board measuring 4 x 2.1 inches in size, or roughly the size of an Arduino Mega board. The Perfuino Uno is powered by an Arduino Uno compatible 16 MHz Atmel ATMEGA 328P-PU that support the standard Arduino IDE + ICSP or FTDI. Other features of the Perfuino include dual voltage regulators (3.3V and 5.5V), Reset button + 2 additional buttons for customisation, 4 x screw terminal connections together with about 200 vias for through hole components.